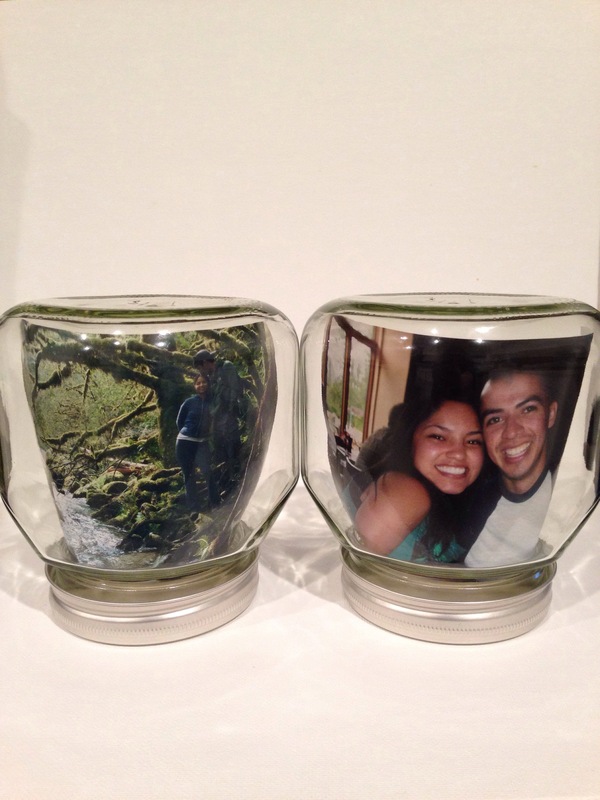 I was able to add a personal touch to our kitchen overhaul this weekend, by the way of these mason jar photo frames. I loved this idea when I saw it on A Beautiful Mess, and it is so easy to duplicate. The best part about this project is that it takes all of five minutes to complete and the hardest part is deciding which photos to use. Are you working on anything crafty? OMG!! I love those. I have to start getting crafty.